There are few things more frustrating than very high blood sugar. Sometimes it can get to the point where you don’t even want to check your sugar because you just know. Well no need to fret, because I’m here to help you get your blood sugars down and keep them there. Because while it might not feel like it is an emergency, you should think of it that way when you have very high blood sugar. Over long periods of time… high blood sugar (The medical term for high blood sugar levels is hyperglycemia) is a big problem. So here I’m going to share with you some strategies to get this handled, 7 steps to “right the ship” and get normal blood sugars. What Is Very High Blood Sugar? The number that is usually considered high is anything over 200 mg/dL. 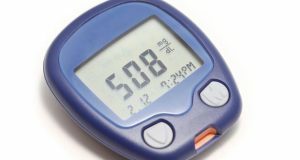 And for nondiabetics, their blood sugar levels rarely go over 100 mg/dl. But maybe yours is way higher than 200 mg/dl. It’s usually around 200 mg/dl that gets most people’s attention. But what I consider to be VERY high is anything over 350 mg/dl, which can be dangerous. I’ve seen people have some severe health consequences that I will talk about in a second, when their blood sugars were this high. Normal ranges after a meal are anywhere from 120-140 mg/dl, 2 hours after a meal. This is usually the easiest place to start to fix high blood sugars. After meals. Why? Because you can control what you eat. Normal fasting blood sugar levels would be less than 100 mg/dl. Fastings can be more of a challenge because other factors come into play during fasting hours when you’re not eating. The goal here is to get your blood sugar levels as close to normal as you can. Stick with me here because in a minute, I’m going to help you get there. Usually high blood sugars are a result of uncontrolled diabetes. This can go on for many years in people who haven’t been diagnosed. It can also happen with people who don’t keep diabetes in check. It can get to a point where, as I mentioned high blood sugar feels normal to the body and goes undetected. Insulin resistance – your body doesn’t use insulin efficiently and sugar can’t get into the cells of your body which leads to elevated blood sugar levels. Beta cell dysfunction – cells of the pancreas responsible for producing insulin are slowing down. The Incretin Effect – hormones in the gut aren’t working properly to start the signaling process of secreting insulin at the first sight of food and when you put food into your mouth. I talk about these in further detail in my other programs, videos and articles on my site, but just understand that when these defects are affecting the body it is only a matter of time before your blood sugar levels are uncontrolled, if you don’t get them in check. Cardiovascular – damage to large and /or small blood vessels. Numbness or tingling in extremities such as legs, hands or feet. So as you can see having very high blood sugar can have some serious consequences and even go unnoticed. And just like other areas of your life you are fully capable of getting back on track. Start to track it more closely. If you aren’t already doing so, keep a journal or tracker of some sort to get a handle on things. Write down everything. Readings. Time of day. Foods you ate. Write down everything you can remember until you get your blood sugar back in normal ranges. Ask yourself why. Do you have a good handle on why this happened? Did you take your medicine. Are you stressed. Have you been less active. Eating more. Start trying to build a case as to why this happened. Become a detective. Fast. This may sound like a difficult thing, but with insulin resistance or beta cell dysfunction, many times high blood sugar readings can come down to increased carbohydrate intake. Eat foods high in protein or fats. For the time being, start to add protein to your diet or healthy fats like avocados, nuts, lean meat and go low-carb. This will help to right the ship so to speak until your blood sugar levels are normalized. Consult with your diabetes care team. After speaking with your care team you may have some discoveries, which will help you get your blood sugar back in normal ranges and prevent this from happening again. It could be your medication, illness or maybe just a blood sugar swing due to a hormonal issue. Become a student of diabetes. Take a course or some sort. Get a better understanding of what is going on inside your body. Being here on this website is a great start. The internet is full of helpful information. There’s no substitute for increasing your diabetes IQ. I know a person who became a certified diabetes educator after becoming fed up with out of control diabetes. Get stress, sleep and your diets/lifestyle in check. There are a number of things that can happen that we don’t have control of with type 2 diabetes. Stress, lack of sleep or a sedentary lifestyle, set off a chain of events inside the body that make it harder to keep your blood sugar under control. Pay attention to some of these. Take yoga, get a massage or find something that you enjoy to help relax you and get to your higher self. This could be as simple as listening to music or laughter. Anything that makes you feel great. You’ll be amazed at how effective this is at helping you to control your blood sugar. This little cheat sheet should help you a lot. Be sure to put it to good use. As you notice things start to get better and your blood sugar levels come down, plan for the long haul. Modify your diet so that this doesn’t become a regular occurrence. When you’re out of the woods you need to prevent yourself from being back in the same spot with very high blood sugar again because it is very damaging and toxic on your body. This does a lot of damage on your organs long-term. Which usually results in the horrifying complications we hear about with diabetes such as amputations, heart attack and stroke. With a little bit of diligence on your part you can definitely fix this. It can be frustrating and upsetting, but knowing how to tackle this issue puts you on the path to living a healthier life and keeping diabetes in check. 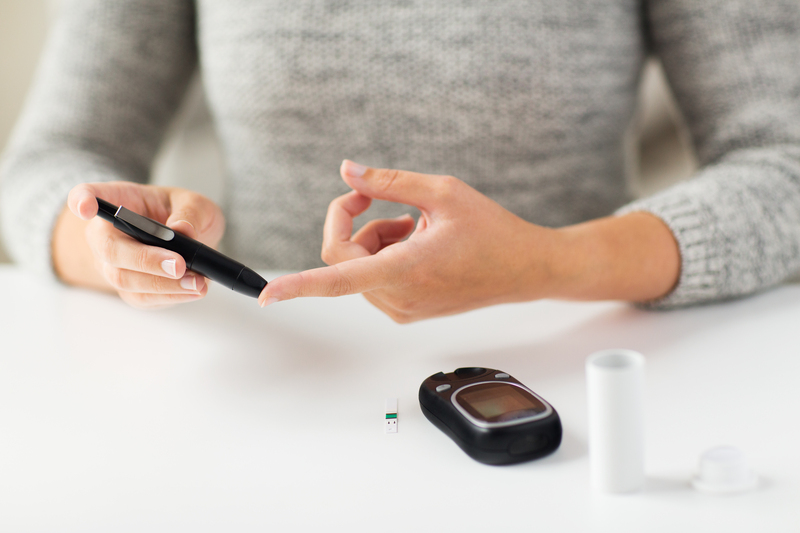 If you found this information helpful and you would like to learn more strategies and techniques for controlling type 2 diabetes, I recommend you check out the Master Your Diabetes program. In master your diabetes you’ll learn how to overcome the majority of situations that come up with type 2 diabetes and maybe even conquer it for good.